Tori Stewart is currently pursuing her B.A. in Dance, with a focus on Dance Performance, Choreography and Theory from the University of North Carolina at Charlotte. Originally from Hope Mills, NC, she is a dancer and artist based in Charlotte, NC. She started dancing at the age of 12 at Linda Kinlaw School of Dance, a small studio in North Carolina, and continued her dance studies at a pre-professional level with Kim Jones, E.E. Balcos, Delia Neil, Rachel Tucker, and Missy Coyle. As a performer, she has worked with choreographers such as Matilde Demarchi, Leslie Seiters, E.E. Balcos, Rachel Barker, Gretchen Alterowitz, Marcus White, and Sybil Huskey, performing in concerts at UNCC and American Dance Festival and has performed and choreographed works for the Charlotte Dance Festival and Wake Forest Dance Festival. 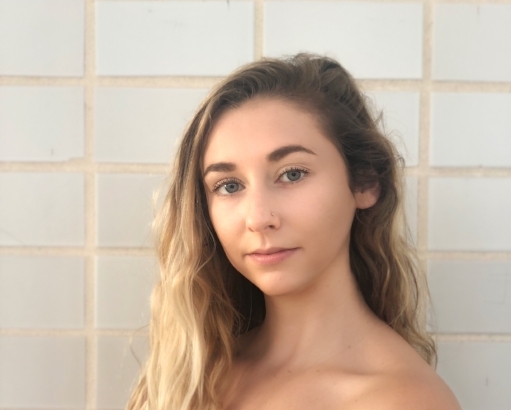 Recently, Tori Stewart spent time traveling in Italy studying dance and performing at various venues including the Palace of Venaria and Orsolina28. She continues working on solo improvisational and contemporary projects as well as works with her dance partner, Katie Harmon.